This is a debut for author Trisha Leazier a fast paced story and the start of a series which for me is always good. This one is aimed at the young adult reader but of course can be read by anyone who enjoys a story with lots of ups and downs and danger around every corner. Ashlyn’s world is turned upside down when the sister she loves has a heart transplant and then turns into a zombie or red eye and dies twice the whole world is going crazy when so many people who have had a medical advancement suddenly turn and there is death and danger everywhere. Ashlyn is saved by her neighbour Sam and together with some others from the neighbourhood start on a journey that picks up survivors along the way and although not blood related they become a family who will do anything for each other. They are set on a course to what they hope will be safety at Sam’s Nephew Drew’s Bio Dome Resort Paradis Roulette, the journey is a hard one with a lot happening friendships will be made and people will die but above all special friendships will be made and there will be sparks of young love that come from their fear and determination to survive. I recommend this story to people who love a good Si-Fi with strong characters who show such strength and caring, I look forward to the next one in the series. 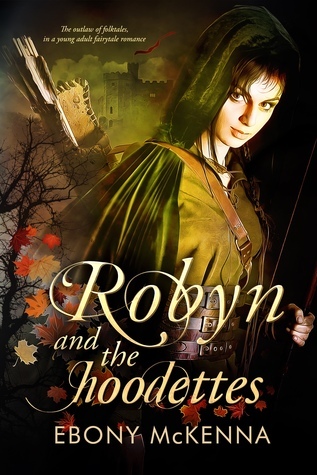 Published September 10th 2016 by Body Count Productions, Inc.
WOW what a fun story this one was one of my favourite stories with a twist I mean who doesn’t love Robin Hood and his merry men and when Robin becomes Robyn the female and Marion becomes the male then this really called to me and I did very much enjoy it. This one is filled with lots of adventure and fun as Robyn and her close family and friends’ band together by chance when they are trying to outwit the tax collectors times were tough back then and end up helping the poor with food and some safety and protection against Maudlin the liege Lord and Roger of Doncaster. There is lots of laughter along the way as they become outlaws and as Robyn’s friend, giant Joan and her smash em attitude save Robyn a few times and of course this is a YA romance so to see Marian a wonderful strong blacksmith and the smart Robyn start to notice each other and share a kiss or two along the way as they plan their adventures because they have to have a plan will have you smiling. MS McKenna has bought the characters to life in a different gender than the original but in such a great way with a lots of action and fun although aimed at the young adult I highly recommend this story to anyone who enjoys a good book that will keep you turning the pages and of course Robyn and Marion will make you smile I loved this one thank you Ms McKenna for a fabulous story. Young adult reads are always a delight, it takes you back to when you were young , yep I said it, so naturally you can work out I am not that young, so why read a young adult book, you might ask? Well it's exactly as I said, it takes me back to when I was young and sadly the young adult books of today did not exist back when I was young. There was the Nancy Drew and Hardy Boys all those that were fantastic reads to keep you occupied whilst secretly wishing you could get your hands on the romance books your mother hid away, or that the books would actually have situations you could relate to. But enough about me and my old age, let's get down to business and talk Girl Online On Tour! Penny joins her rock - star boyfriend, Noah, on his European music tour. Bags packed, hair styled, accessories loaded and ready to go! Penny cannot wait to spend time with her rock-tastic boyfriend. But between his jam( get it?!) schedule , the less than welcoming band-mates and the threatening messages from some pretty jealous fans , Penny starts to wonder if she's really cut out for this kind of life on tour. She misses home, family, friends and her blog. Soon thoughts of losing her life back home in exchange for the what might be the perfect summer start to roll around in her mind and the question lingers. Is life on tour really worth losing her true identity ? Now on to what I thought. The best part of this read with out a doubt is the realistic look at life on tour. When I think back to the bands I drooled over I remember that I always thought how cool their lives must be. Getting to see the world, meet new people and all while doing what you love. But this read puts all of that into a new perspective , live on tour is hard, long and not at all what the outside world thinks it to be, and that's just for the band! Life as the GF of any band member is wow in many ways but mostly bleh ! It's kind of like hanging around on vacation with your parents whilst all your friends are down at the beach party your parents don't approve of , so you dwindle around , bored out of your mind listing to music. The book is a great read for all those wondering what life on the road is like , but it's of course fictional but for the most part I think really accurate based on some other true life similar books I have read. Penny herself was a cute and fun character, one that I felt really sorry for as I am sure you will too. I recommend this read for anyone and everyone that would like to go back to their younger years and visit a dream ( go ahead and admit it, you wanted to be on tour with your music hero) but be warned it will shatter the perfect illusion you had , and in that case if you prefer to let the dream stay in tack I won't recommend the read.
" 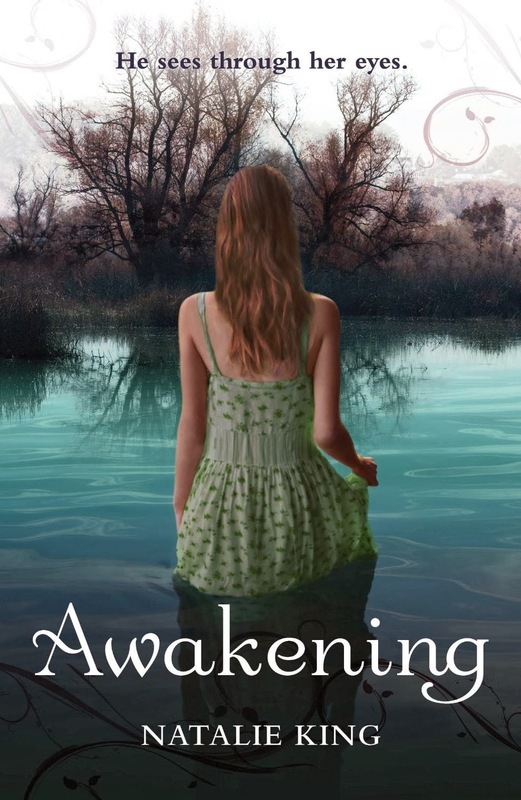 Jamming it out on tour is not all it's said to be"
AWAKENING by author Natalie King is a Young Adult (YA) released in March 2014 by Penguin NZ. Zelie Taylor is not sure she is not hallucinating when she starts hearing voices in her head. But the voice is insistent that he can see through her eyes. Who is he? And what is his connection to the sick girl, Kate? Ah…it all started when Kate insisted that she take a necklace from the lake. But the pendant of the necklace was so cold, how can it be heating now while she was wearing it? And where was the clasp gone? Zelie remembered using the clasp to put it on. Tamas’s soul had been captured in that pendant since long now. Was he ready to come out? What powers does he have? Would something drastic happen if he comes out now? Highly recommended read for all readers. Imagine slipping on a necklace with a cold as ice pendant, then not being able to get the thing off, and then suddenly you start to hear a male voice, telling you he can see, hear, taste and feel everything you do and think. As scary as that sounds, it is the life of Zellie and the adventure of a lifetime she finds herself on when Tamas takes up residence inside her body. Now of course she like any other normal person would goes a little on the 'this is nuts' bend., but soon she discovers more about Tamas and why he is trapped in a world like no other. Only the more she learns about him and why she has been chosen to be the one to free him, the more she does not want to let him go. And when the town's people start showing their true identities the plot only gets thicker. 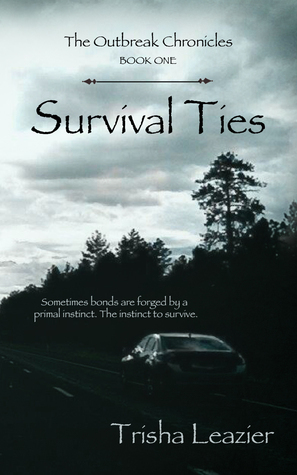 Zellie and Tamas find themselves in a race against time to free their souls, past and present. I absolutely LOVED this story, the author intertwined the read with intrigue turning to mystery, mystery to magic and magic to romance and back again to intrigue. All the various layers had me completely spellbound, I could not put the read down for even a second, I found myself racing through the pages to learn more, feel more and in all honestly I was very sad when the read ended, I wanted it to go on and on. I was mesmerized by each and every character, and the author did a super job at keeping me on the edge of my seat with letting the characters never really truly reveal their true intentions until the very end, truly gripping stuff. The world created by the author was so magical it was as if various fairy tales were mixed in with the world of magic and it created this absolutely amazing, enchanted world so exceptionally depicted it could be seen as real in my minds-eye. I could feel every emotion the characters felt, the sadness Zellie and Tamas have to deal with brought me to tears, I felt the anger running through my veins each time Tamas sees his captor, and yes even the strength being drained from their bodies had me feeling so very weak. Outstanding job Natalie! The read's focus is of course mainly on the road to freedom that Zellie and Tamas find themselves on but there was also the truly stunning young love building, it was so sweet and so gentle it brought a smile to my face each time the romance made an appearance. If there is only one YA book you read this year, this is the one you simply cannot pass by. It was magical, romantic, heartfelt, spell-bounding, mesmerizing and just brought together with such intensity it will stay with you for the rest of your life. Natalie I look forward to the next one please, please listen to a readers plea and write it as soon as you can! I highly recommend this read for all fans of reading, even if you are not into YA reads, this is the one that will set you on the path to searching for more. Natalie King and her writing is a true gem to the writing world ! She created a completely different world where anything is possible, romance entwines with magic and secrets are revealed and a mystery as old as black magic will send you on the path of begging for more.
" Within the lake lies the truth"
Copyright Nas Dean & Desere Steenberg. Picture Window theme. Theme images by 5ugarless. Powered by Blogger.